The Friends of the UWM Golda Meir Library present a discussion with former Alliance Française de Milwaukee president Mary Emory and UWM Professor of History Neal Pease. In 2018, the Van Alyea family donated 35 French World War I posters to the American Geographical Society Library at UWM. The addition of these unique and historic posters enriches the collection of WWI materials held at the AGSL. The collection includes posters designed by Theophile Steinlin, Francisque Poulbot, Abel Faivre and Paul-Albert Besnard. 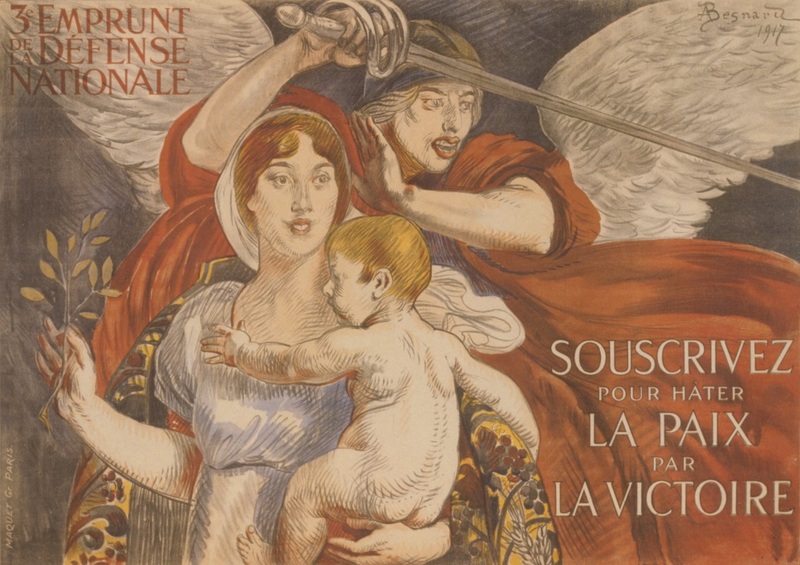 At the event Mary Emory, a founding member of the American Friends of Musée d’Orsay in Paris, will discuss the art of the French WWI poster and the history of this special Milwaukee poster collection. Pease, professor of modern European history, will place the posters in the context of WWI and the wartime alliance between France and the United States. The program, free and open to the public, is sponsored by the Friends of the UWM Golda Meir Library and co-sponsored by Boswell Book Company. As a fundraiser for the American Geographical Society Library, a limited number of vintage WWI posters from the collection will be available for purchase. Parking is available in the UWM Union and Klotsche Pavilion parking garages. The Friends of the Golda Meir Library annual business meeting will be held at 4 p.m. in Special Collections. For more information or special needs, call 414-229-6202.